For their first meal I gave them some honey and the head of a grass hopper. 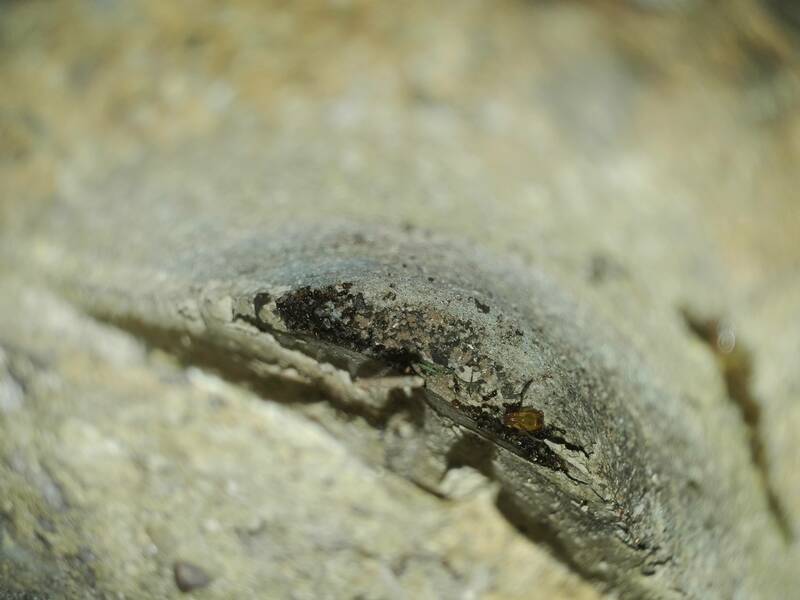 I didn't see them drinking any honey but they dragged the grasshopper head into the nest for their larvae to feed off directly. 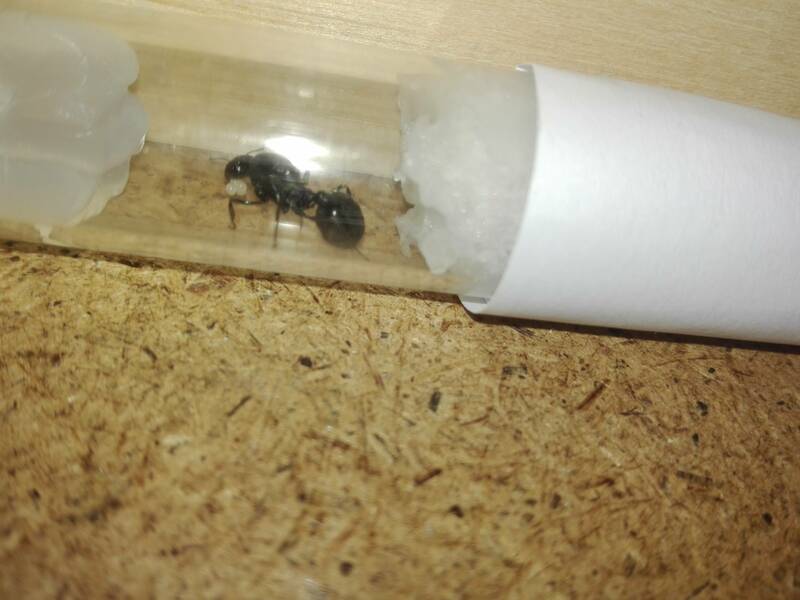 4 messor queens . 3 of them have eggs. The forth I'm not sure about she is living in a tictac container filled with soil she has dug against the side but I cannot see very well through it because there are still patches of soil blocking my view. 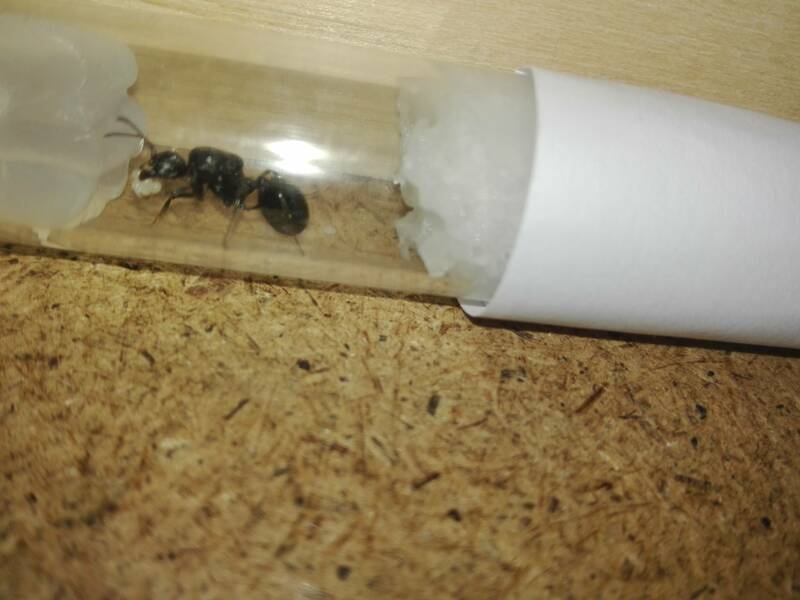 2 tubes with atopomyrmex. 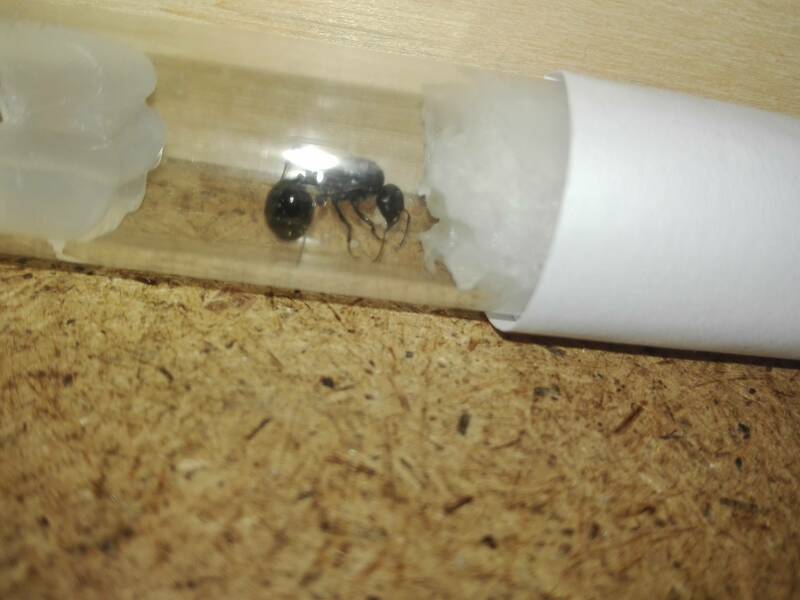 One tube has 2 queens. The other 35. I want to see what happens with that. 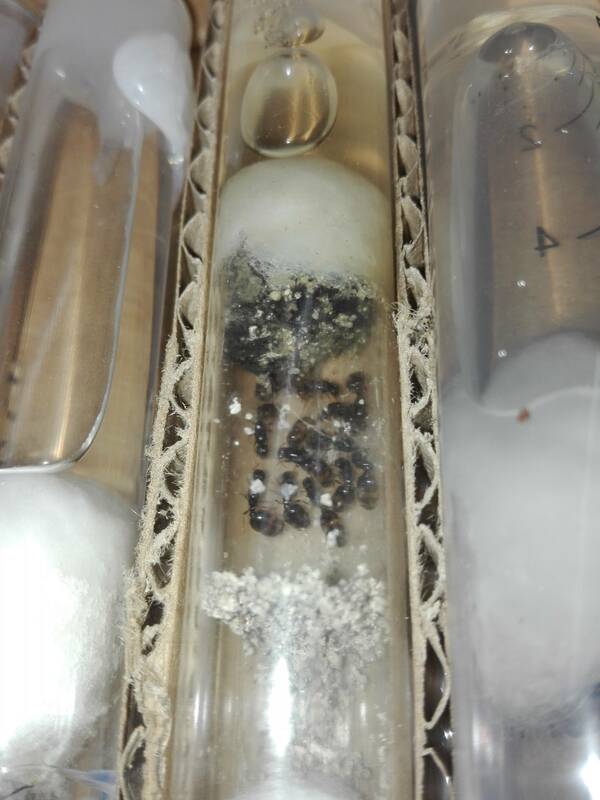 Neither tubes have laid eggs yet. 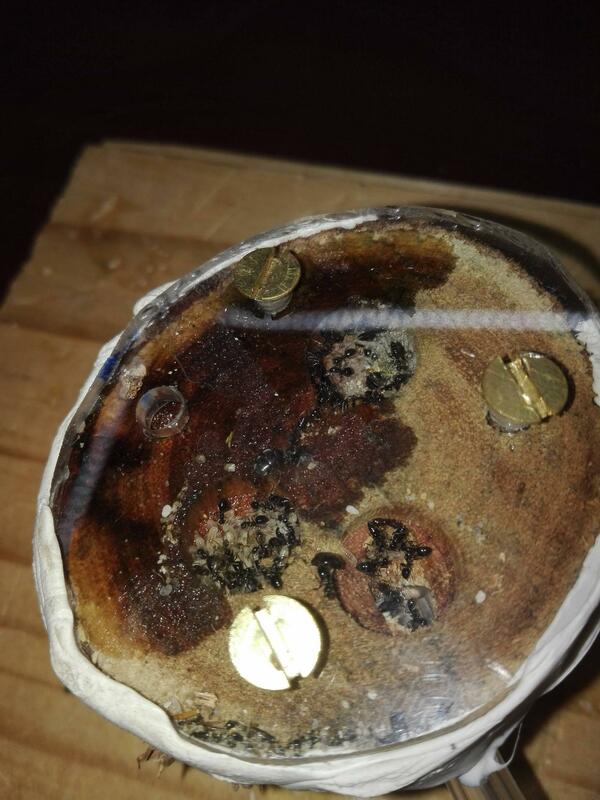 The lepisiota colony. 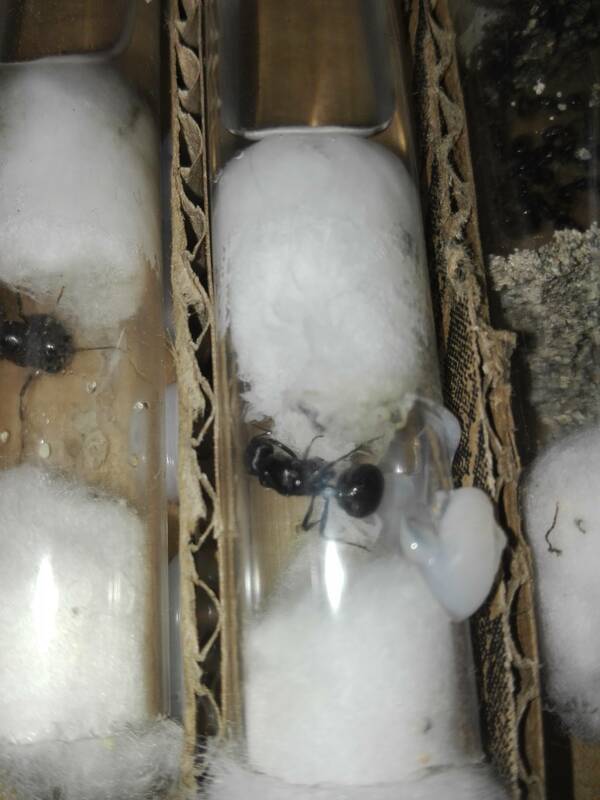 Look at the queen in the middle I love the mix of grey and black on her abdomen. 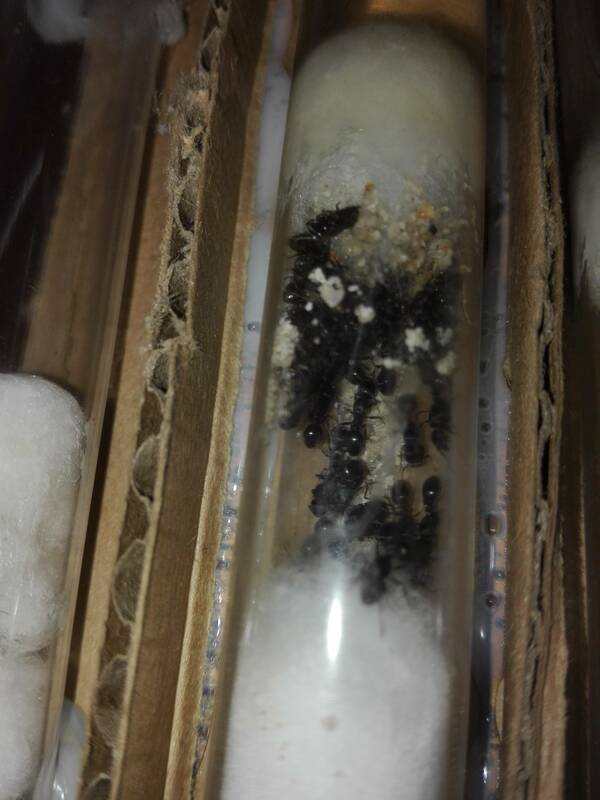 These are the 2 atopomyrmex tubes. 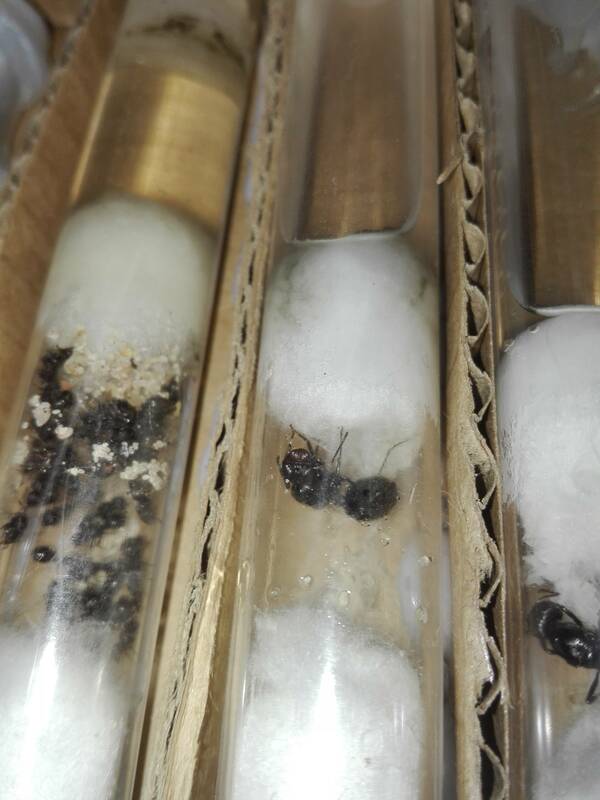 These are the myrmicine queens. Both groups have batch of eggs. Here are 2 of my messor sp. 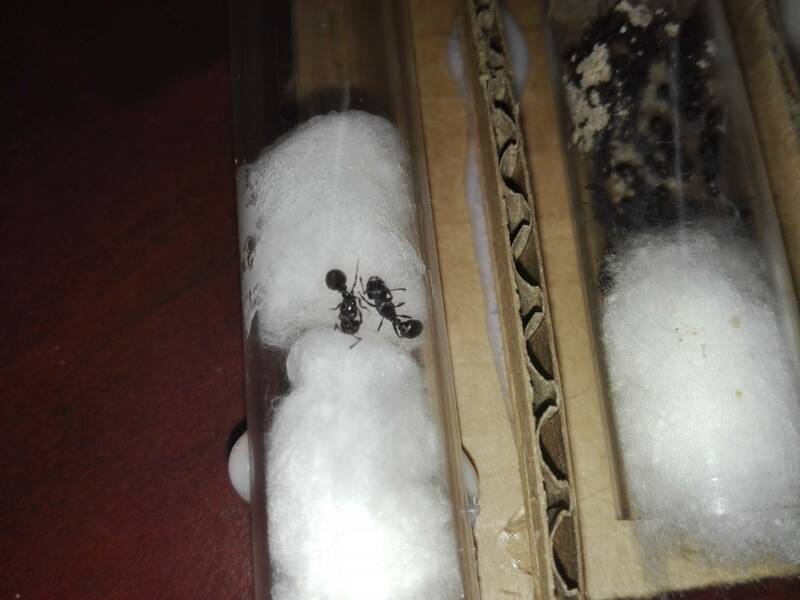 QUEENS they both have about 4 eggs. 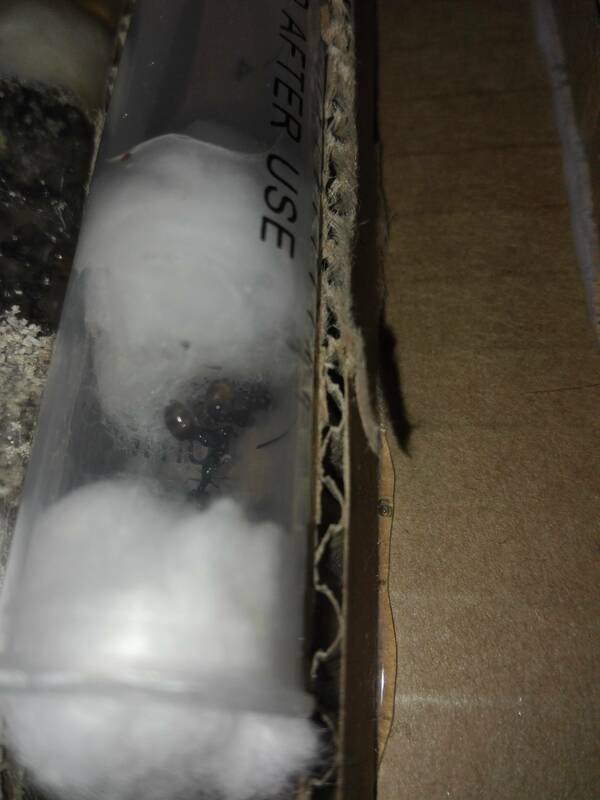 Unfortunately I couldn't get a clear photo of the digging messor queen.